Everyone in insurance seems to be talking about digital. However, not everyone has the same view of digital, and the scope of digital initiatives may vary dramatically. 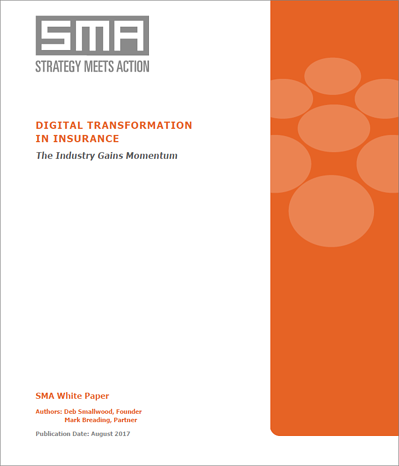 What is the scope of digital initiatives and transformation at insurance companies? How far are insurers along the path toward becoming digital insurers? How do digital initiatives relate to innovation, emerging technologies, and InsurTech? What challenges and lessons learned have leaders encountered in their digital transformation journeys? What are the opportunities for differentiation for insurers? For solution providers?